Firstly, let’s meet Egg Yolk, the yellow part and the most nutrient packed part of the egg. The yolk contains 100% of the essential vitamins and fatty acids called DHA which are important for the growth and development of the brain. It is very rich in choline and cholesterol, which are very important for a growing child. The cholesterol is in fact an insulator for the brain nerves and helps in the digestion of fat. Research shows that babies fed with egg yolk had improved iron levels than the unfed ones, without any significant effect on their blood cholesterol. This makes it a good one to introduce as a baby’s first food and for toddlers and kids. The white part of the egg is equally good but it is best introduced after one year because most allergic reactions come from there. Now, I don’t have to go on about why homemade custard with egg yolk is the best. It is equally a good dessert for you if you are not bunkers about cholesterol, when science has assured us already that 2 eggs a day is perfectly safe for healthy people trying to stay healthy…otherwise eat the whites and ‘custard the yolks’ for the kids. You need the high and low technique in making this egg custard. High loads of patience to keep stirring the stuff and low heat to ensure you get it right. My Food & Nutrition WAEC practical examination years back had one disastrous menu…my egg custard dessert was a mess because I failed to heed the high and low tech. 450ml of whole milk – you can dissolve about 3-4 tablespoon of powdered milk in water. For baby formula, dissolve according to brand instructions (normally 1 spoon of milk to 30ml/oz water). You can try using evaporated milk but then, you have to omit or reduce the amount of cornflour. Pour the milk in a pot and heat up on low-medium heat. Don’t allow it to be too hot or boil. Whisk the egg yolk well. Add the cornflour and vanilla flavour to the yolk and mix together. 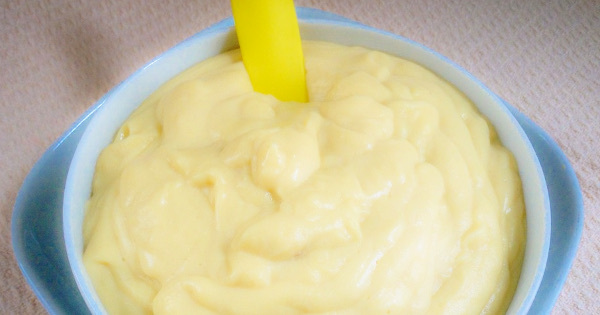 The cornflour helps the custard to thicken. Pour the mixture into the milk and start stirring. Reduce the heat to low. Keep stirring to prevent it sticking under the pot and curdling. Once it starts to thicken, continue stirring until you get your desired consistency. Add more milk if it’s too thick. Serve with sugar or fruit puree to sweeten. Love this recipe? 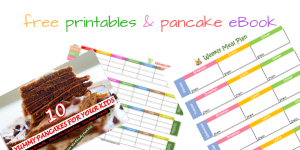 Join the mailing list for Mummy’s Yum newsletter update directly in your email box. Give a shout out below, share with friends, like and follow on Facebook, Instagram, Twitter and Pinterest. No Temi, I’ve never used that. Hi thanks for this very wonderful recipe, I just made it and baby of 6 months took it well,, my question is can it be made ahead of time? What method of preservation do we use. Just like custard, it is best served after cooking really. I have never bothered checking about preservation. 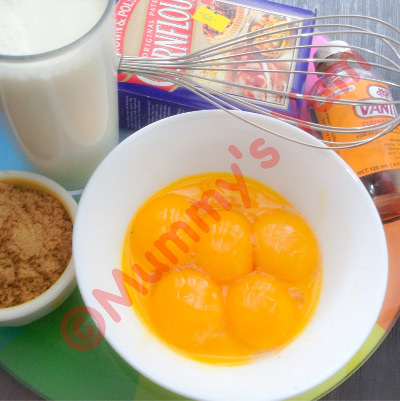 Hi chioma.Thank you for such wonderful recipes.pls can you advise what qty of cornflour to use per egg yolk?am making this for my 9mth old baby . Hi Gloria, start with a teaspoon or two. I am going to remake this for a baby soon. This is a great recipe, just how long would this take? Thank you Naomi. It should take about 8-10 minutes. Mocan, I think they are both the same. Thanks for this chioma,pls can i put this in my baby flask to creche. Themy, I guess it should be okay. I have not tried it but it seems the same as putting pap in the flask. 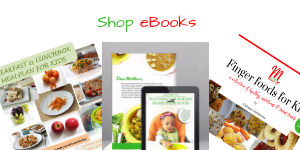 Thanks so much for your recipes Chioma u’re a life safer. Can i do this in bulk and store in small containers in the freezer? Thank you so much Grace. No, i don’t think this will be good cos it’s like freezing already cooked pap or custard. Making when needed is much better. Adama, i haven’t used it but you can give it a try…just a little because i think it is heavier than cornflour. Thank you Adri. No, i don’t think it will freeze well. Please is the vanilla flavour optional? Or can you recommend a substitute for the vanilla flavour ? It is optional. You can add cinnamon, cloves, nutmeg etc. You can even flavour with fruit purees after cooking. Hi Kathryn, I dont add sugar as it is more of a baby food. You may add to your taste after cooking but advisably not for a baby. 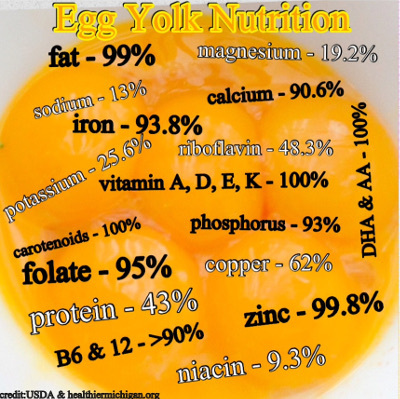 Good piece of information on the nutritional values of egg yolk and LOL @ your WAEC experience. My kids normally would not touch egg or any food with substantial amount of egg with a barge-pole but I’m tempted to give this recipe a go using 1 egg yolk. Lol. On, if you see me that day eehh. Try the egg but one yolk is sure too small. Try two and be sure to recalculate the milk and cornflour quantity. Please is cornflour same as the flour for baking? Hi Funmilola, they are not the same. Ask specifically for corn flour in shops.